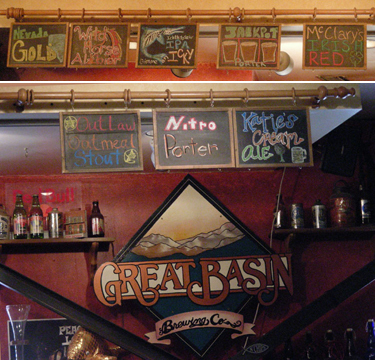 This brewpub has been in business for 16 or so years, and has always been well above average. They always have 10+ beers and ales on tap. They make Ichtheasaure Pale Ale which is served in bars all around the area, and is a very fine, hoppy Pale Ale. Their IPA is always good, as well as their Porter. They make a few stouts, a Wheeler Peak Wheat that is great if you're a wheat fan, Rhy Patch Rosemary is an interesting beer with rosemary in it. My personal favorites are the Harvest Ale, made in Oct-Nov each year, features local pine-nuts and sage, it tastes like Nevada! Also the Chili-Beso which is as you guessed a chili beer, excellent flavor and not too overpowering. Their berry beer is a seasonal and gets rave reviews although I've never tried it. The food is consistanly good, and they servers are always friendly, knowledgable and provide good service. There is outdoor seating and they often have live music. Overall this is consistantly one of the best brewpubs to visit, and one of only two local ones that provide truly great beers and ales. This was a great stop. Good parking in the back before heading around to the side entrance. Lots of tables inside and out plus a long bar that sits at least 20 people. Several locals hanging out on an early Sunday afternoon. Food was good. Forget what I had, but remember it being good. I'm there for the beer. Twelve house beers on tap plus a thirteenth by the time I left. Samplers available making it a nice stop to leisurely work though the whole lineup. They had a great imperial stout, a pretty good barrel aged dry stout, and a very drinkable IPA. Nice friendly pub just east of Reno. It has a comfortable long bar and several tall tables. There are a good number of TVs and two adjacent dining areas plus outside seating. About a dozen taps but only 8 house brews plus a cider on tap when I first visited. 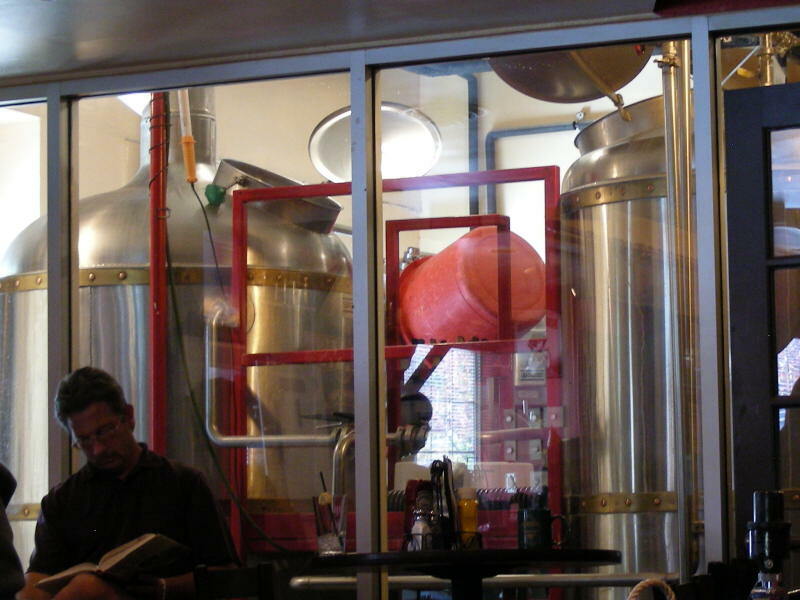 The waitress said there are normally more and they are brewing every day to increase stock. I had the "nitro" porter and the oatmeal stout. 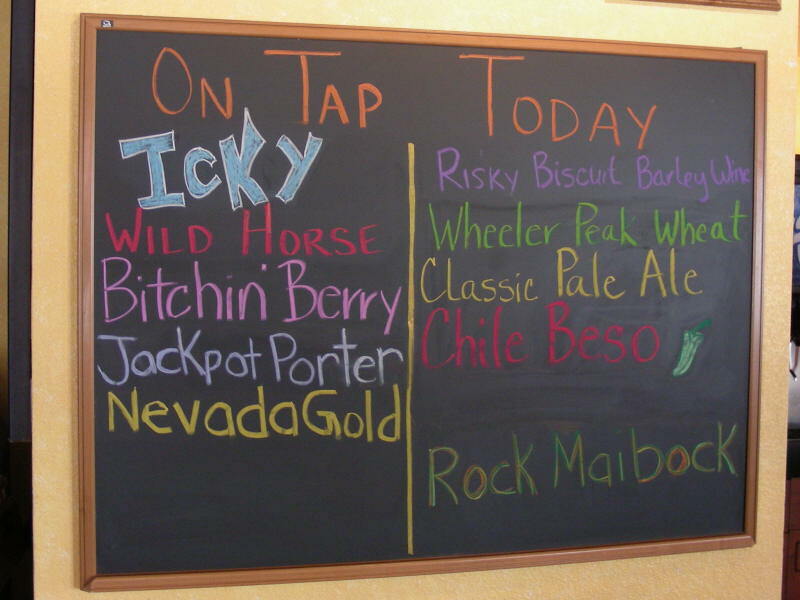 I've had the Ichthyosaur IPA (Gimme an Icky!) before. It's named after the official state fossil. Enjoyed them all. The menu is mostly standard pub fare with several more upscale entrees. 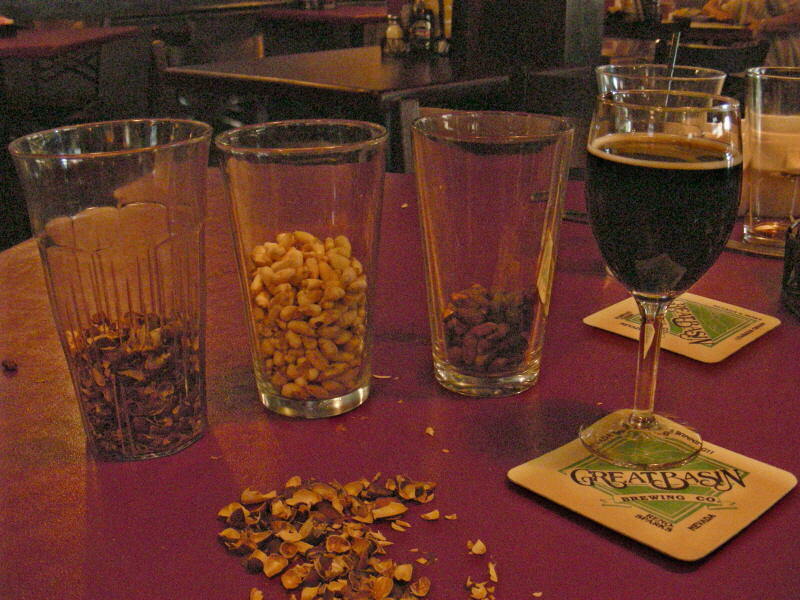 Many feature house brews in their preparation. Overall, it's a nice escape from the casinos. EDIT 10/08 - 11 house brews on tap plus Wyders Pear cider. 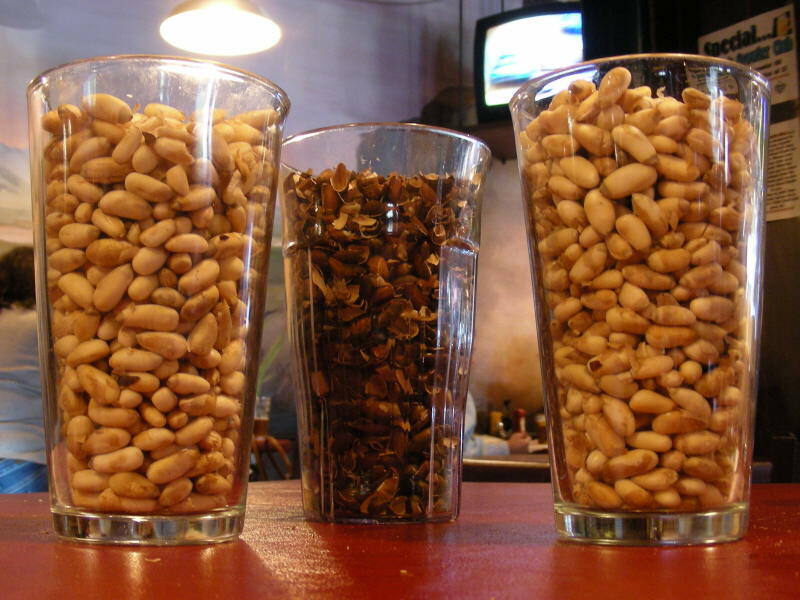 We stopped by to help crack pinion pinenuts for their annual Harvest Ale (Pinenuts, Juniper Berries, local Sage & Honey). Had a great time and worked my way through a FrankTown Brown, Midnight Special Schwartzbier, Death by Chocolate Stout and a wonderful Old Fitz Bourbon Barrel Oatmeal Stout. Lots of friendly staff and patrons at the pickn' party. Looking forward to the Harvest Ale tapping in mid November.